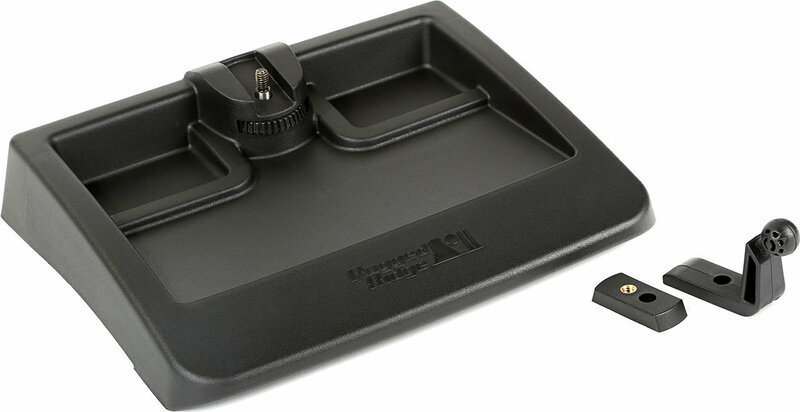 The Dash Multi-Mount System features a 8.25 x 3.25 x 1.00-inch dual tray, which can be utilized to store small items, and both tripod and ball socket mounts to keep cell phones, GPS, cameras and even radar detectors within reach of both the passenger and driver. 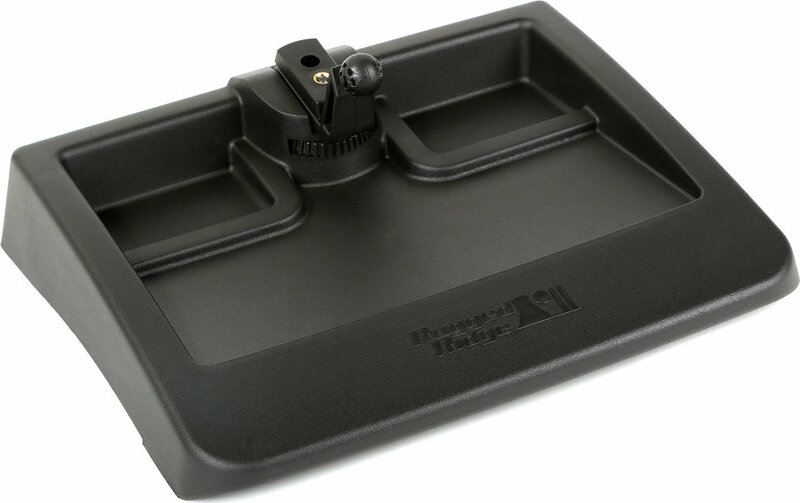 The form fitting design matches the exact contours of the factory Wrangler dashboard, snaps in place and is secured using OE Jeep mounting holes and hardware. No cutting, drilling, gluing or modification of the dashboard required. Phone holder is not included. 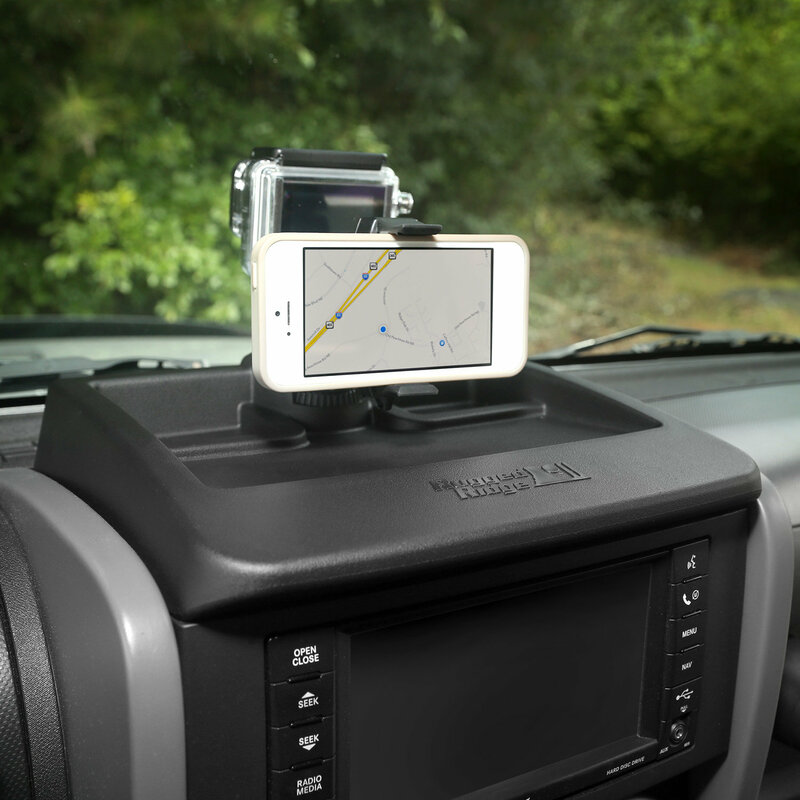 Quadratec or rugged ridge need to clearly state that this does not include the phone holder. You have to order the other kit for 7 dollars more that includes the holder. For those who have made the mistake of ordering this you will have to purchase the holder for $12 though it should be only $7. Other than that annoyance it is easy to install and fits well. Junk. This version doesn't include the phone holder, although you can't tell that from description, but doesn't matter because there is no way it clips onto the dash of my 2008 Sahara.